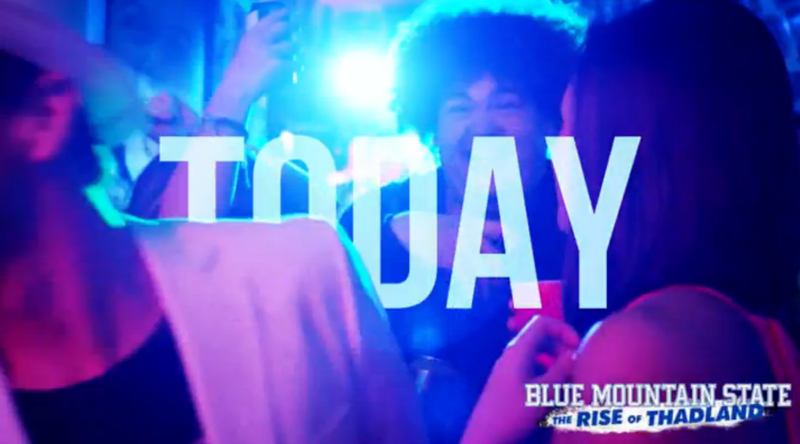 Blue Mountain State has a die-hard fan base from years of entertaining audiences with a wildly popular television series. However, when Lionsgate decided to distribute the franchise’s first feature film The Rise of Thadland, would these fans make the transition from TV to the big screen? The answer is an enthusiastic ‘yes’! And this is partly due to a robust and engaging social campaign from Digital Media Management. Lionsgate approached DM2 to try to entice current fans into purchasing the film while also attracting new audiences who may not be familiar with the franchise. The main goal was to leverage existing social accounts from the television series as well as seeding content to key talent in order to engage their personal fans. This was accomplished by creating a highly-engaging social campaign with extremely shareable and socially native GIFs, videos and social graphics. On opening day of the digital release, Blue Mountain State: The Rise of Thadland rose to number 1 on the iTunes charts ahead of contenders like the Steven Spielberg film Bridge of Spies starring Tom Hanks. This was in part due to DM2’s ability to tap into the exited social fan base where Facebook posts were receiving an average reach of a half of a million fans per post. By keeping social conversation high on Facebook, Twitter and Instagram; a small independant release was able to beat out even the most prestigious of Hollywood releases.